Waking up and desperately trying to wake up everyone else at we got ready for matariki, even though it wasn't until 6:00. The time arrived as we headed out at 6:30pm and we were shivering as it was cold as ice sits in your mouth. Once my mum,brothers,sister,some friends and I got down by Mabury reserve, we thought we would be hungry so we bought some treats and glow sticks for fun. Finally we were all set and ready to enter Mabury reserve as it shines and glows with lights. We see people smiling, singing and having an extraordinary night. My brother Anania, my sister Izabelle and I went around in a spiral. 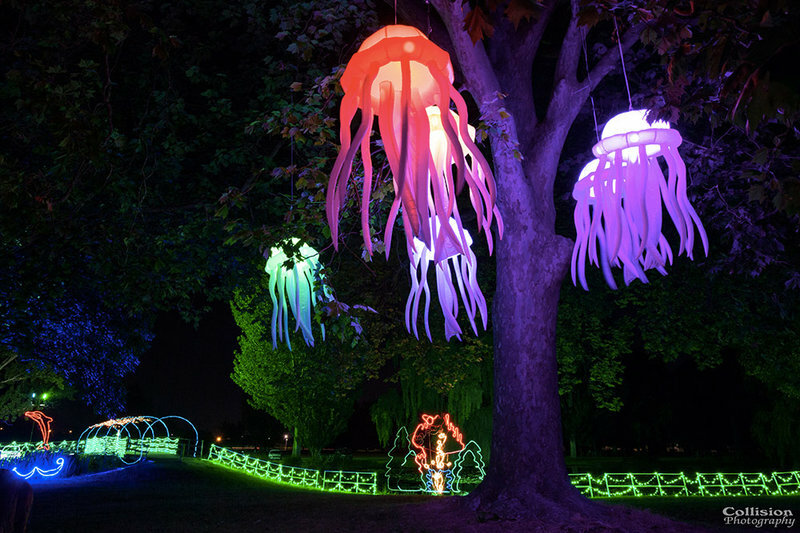 There were lighted up jellyfish hanging from the tallest rakau there was in the Maybury reserve. Everyone had fun and other Whanau everywhere smiled, danced, laughed, sang and played with their young ones. Then it was time for the fireworks, everyone went somewhere where it was a better view to see the fireworks. BOOM!! went the first one the BOOM!!!! went the next second then BOOM BOOM BOOM there were fireworks lighting up our beautiful night sky. People were screaming, jumping, taking photo's and recording. What a night it was as it was the last night of Matriki, the Maori new year.